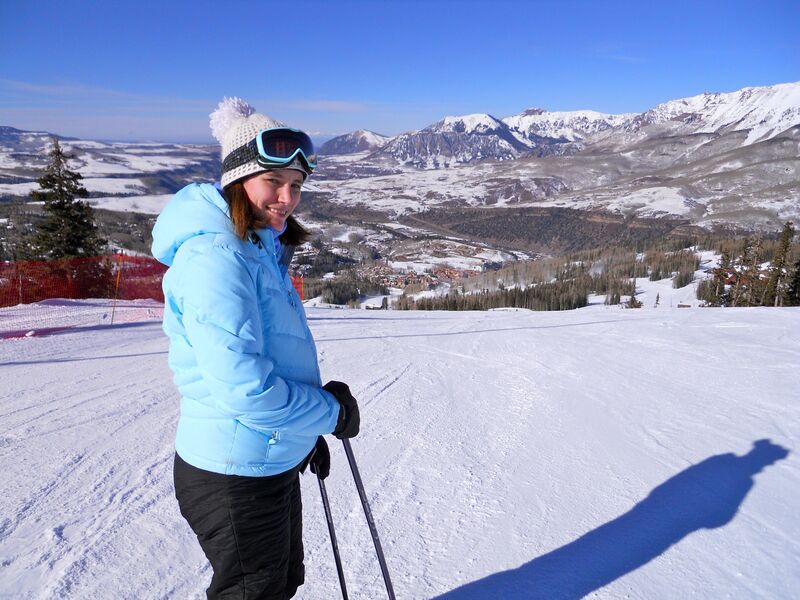 Skiing in Telluride | Where is Yvette? Happy New Year! 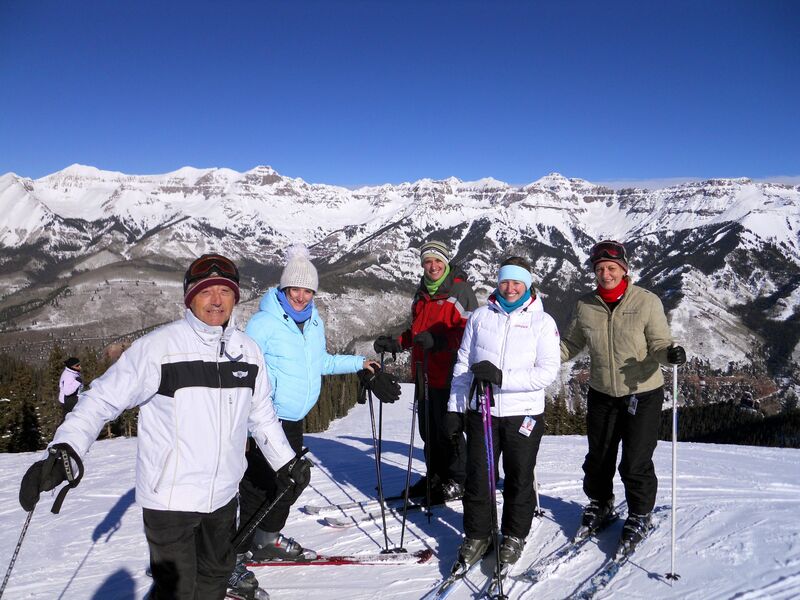 My ~10 days in Telluride began with gorgeous weather and ended in a snowstorm and way-below-freezing temperatures- we rang in the new year with it being a balmy -5F (-21C) degrees outside, brrrr!- but there were some gorgeous days on the slopes as well that certainly deserve a mention. One big happy family of skiers. 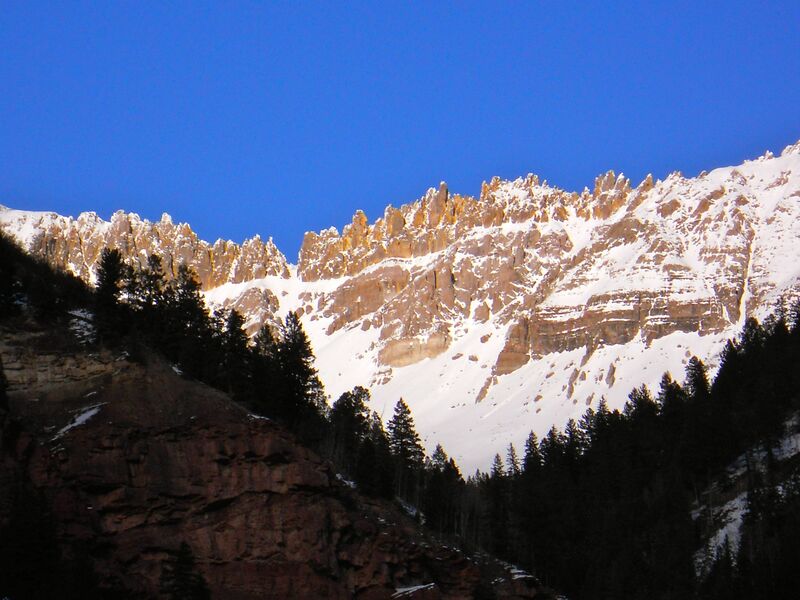 We’ve been all over through the years but Telluride is evolving into our enduring favorite, and with views like this how could it not? 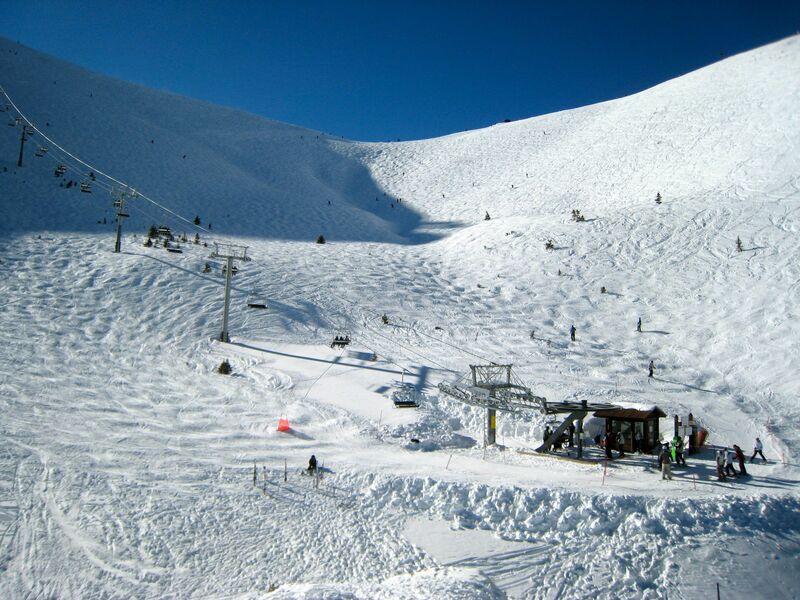 Slopes like this definitely are also a favorite. This particular shot is taken from the bottom of Revelation Bowl- a key distinction because taking a picture from the bottom is proof you skied the super-steep black diamond to get down here (or, on the case of this particular day, twice). I’m the sort of skier that is considered advanced out East but more selective out West (where I become more selective in my black diamond quests, and can’t recall attempting a double diamond), though I’m pleased to report that after the snow dumping just before our arrival I was probably better at moguls than I ever have been. 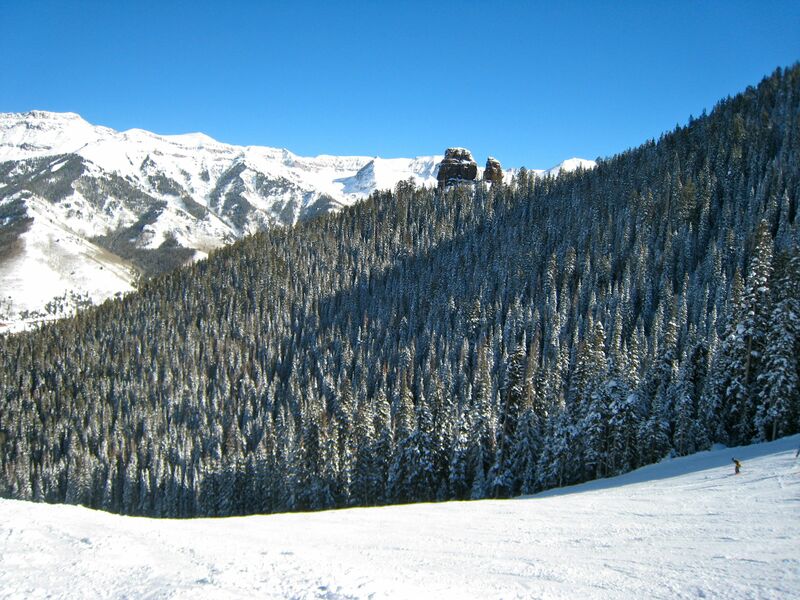 Telluride is notoriously hard to get to (which is of course a good thing- no lift lines!) in the southwest corner of Colorado, and in this last picture above the mountains in the distance are just north of Moab, Utah, well over 100 miles away. 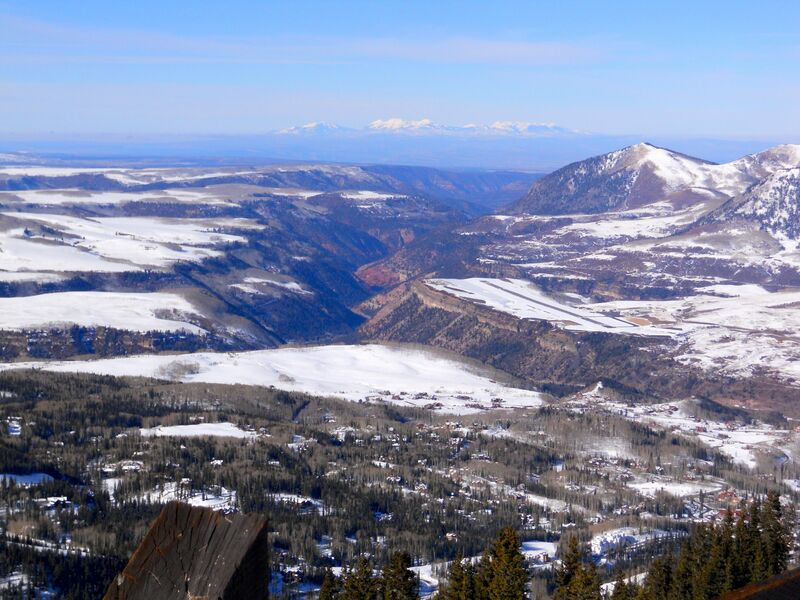 That little strip of an airport is the Telluride Regional airport and is the highest commercial airport in North America. You can get notoriously bad weather though so most people fly in and out of Montrose, a small town two hours drive away with the tiniest airport you’ve ever seen. Seriously, not much more than a ticket counter, a waiting room, a place to pick up your luggage, and I hope you’re ok walking out onto the tarmac because they don’t have any real gates. 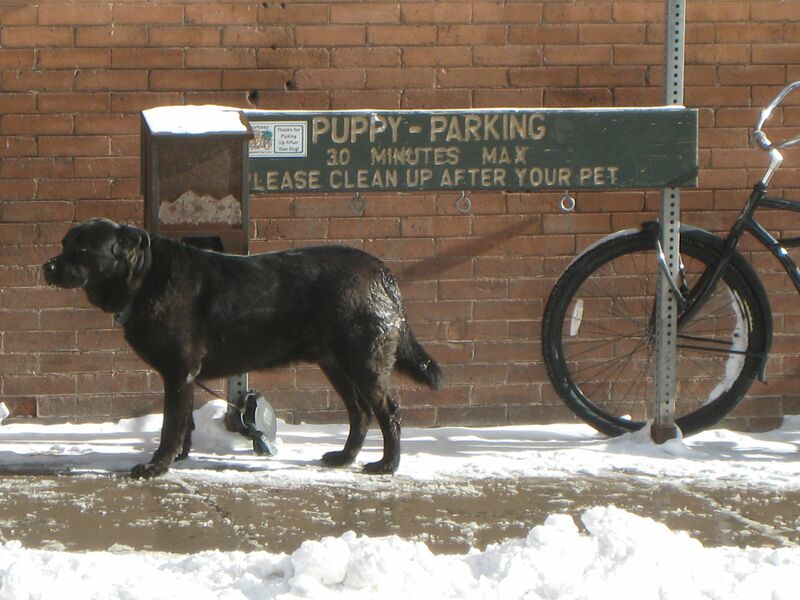 Something else spotted in the town of Telluride that I happened to enjoy enough to share with you all- though it’s worth noting that two years ago Telluride was also the first town where I saw heated sidewalks and dogs dressed in little booties to protect their paws from the cold. (Because how did dogs survive millions of years without them? It’s not like evolution took care of this and gave them pads on their feet and fur coats or anything.) 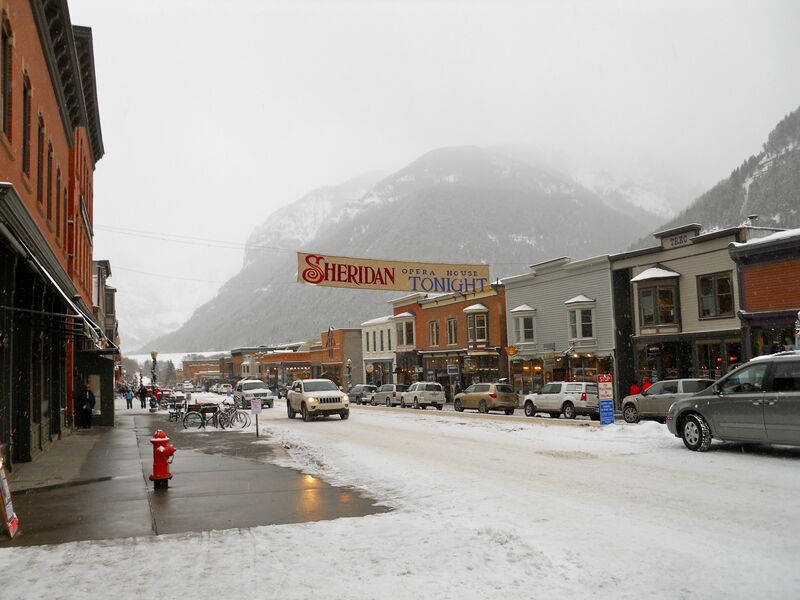 Seriously though, if you ever find yourself in the area make sure you take a few hours at least to wander around Telluride. It’s the most gorgeous mix of Wild-West-Meets-Hippies I’ve ever seen. So that was my Colorado stint this year. I’m currently in the middle of writing a Physics M.S. thesis so new adventures are now highly dependent on the writing and defending of it, but if all goes well I will be posting about a big adventure planned sooner instead of later. Stay tuned! That sure is a good looking Sundae you posted on the “Vogels” page, boy you really get around. I’m going to have to have a look around your page. 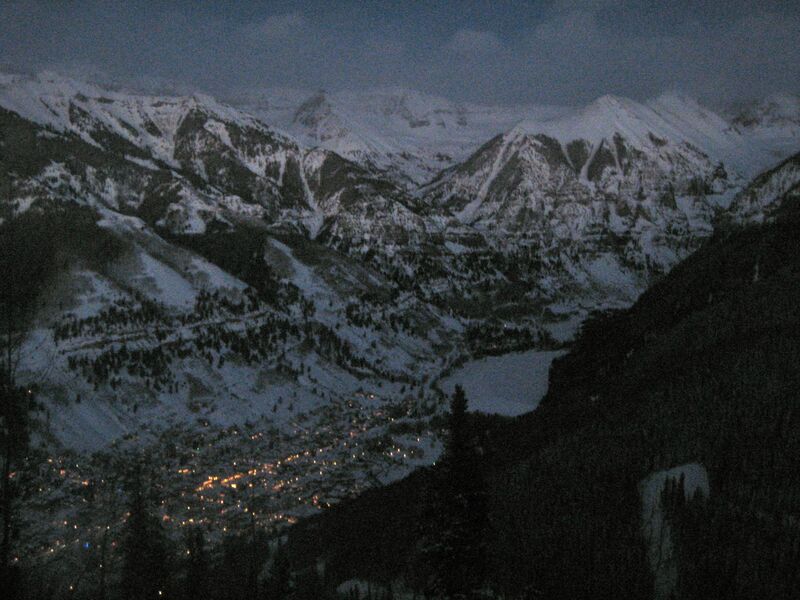 I haven’t been to Telluride in years but your photos make me want to go back. Got to love that Colorado weather, sunny one minute, blizzard the next.